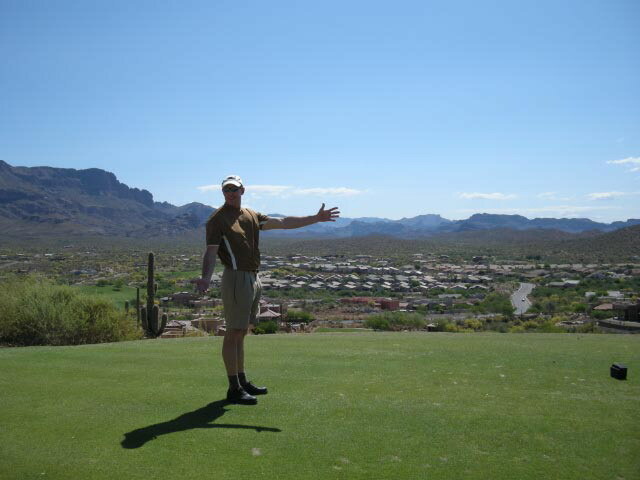 Easy steps to owning an executive luxury vacation home in the Phoenix Metro Area. Sit down and review your vacation home needs and wants with your partner or spouse. Determine how much time you want to spend down south? This will assist the determination of how many partner/owners you might want to add. One to six families/owners are manageable. Build a list of potential vacation home ownership partners. Review your vacation home needs and wants with your possible partners. Assess the level of comfort, trust and financial viability of the pool of owners you have invited to participate. Determine what level of investment each partner would like to make. Make it simple as to split the ownership evenly. Determine what price range of home the group would be interested in. Metro Phoenix has nice properties ranging from $100,000 and up for condos and $200,000 and up for detached homes. There are 3 main variables that effect the value of property; 1. Location, 2. Features and 3. Local Amenities. A $200,000 home in the deep suburbs will cost you over 1 million+ in the center of a high profile area. Decide what locations, features and amenities you are looking for? Make a list that has both needs or must haves and another list of wants or nice to haves. Once you have collectively decided that you would like to take the next step in joint ownership of a vacation home in The Valley of the Sun, or anywhere else for that matter, the next steps apply. Have everyone do some web searches for properties to familiarize themselves on locations, what is available at what price ranges in what areas, amenities, etc. Set up a group website so that the potential owners can collaborate easily. This will relieve you from a lot of email pain and redundancy through the exploration process. Once geographic areas of interest and a general idea of price range, features and amenities are agreed to (in theory in any case) then engage a local real estate professional. This is a very important step! Discount realty services can be very expensive in the end, typically you get what you pay for. A professional realtor will assist you in the search, negotiations, escrow (closing and it is much different process than in Canada), conditional period, closing and inspection. Once you have a feel for the property and locations you are interested in then…..
Book some time off for a vacation to look at properties. Make the offer and own your new executive vacation home! ii. Making the transfer as painless as possible, what types of wires are accepted and what might be held for clearing. How are the Joint Owners going to take title? Furnishing the new home, prices for everything can be affordable but you need to be prepared and well armed before you venture out on your buying spree. What is your budget and how do you make sure to pay only .50 cents on the retail dollar for everything. Typically to outfit a new home it takes a 5 page spreadsheet of hundreds of purchase items and a budget of $20,000 to $100,000+. Put together a maintenance contractor list including; plumbers, construction contractors, rubbish removal, yard maintenance, pool maintenance, air conditioner servicing, electricians, etc. Remote east and west valley areas can be too distant for some people and up to a 2 hour drive from central high profile amenities and the Sky Harbor Airport during rush hour. The further out you look from Scottsdale proper the more bang for the buck you can purchase. There are over 55,000 properties listed and up to a total of 95,000 if you include unlisted properties also that are available in the Metro Phoenix area so there are lots of options. The market continues to soften in outlying areas due to more sub-prime foreclosures and builders that were over extended. The closer in you get to the Scottsdale the less the price is dropping but there are still deals to be had. Investing in real estate is a dream that many people have. If done well, it is an excellent way to achieve equity and even a good sense of cash flow. Some great tips & tricks here. That was really very helpful!! !